For the first time, I am participating in the Book Blogger Hop. The Book Blogger Hop issues a prompt each week for blogs to answer about, well, books. (Click image for link) This week’s topic: What are the top 5 books you would grab in an emergency? At first I thought, Well, I can just re-buy books. Why would I need to rescue them? I do have numerous copies of the Bible, but the one on my nightstand is the one I would rescue, which I marked up a plenty during my high school years and is falling apart… and for those reasons, this is the copy I love to read. One of my friends got me a large, decorative book that has all of Jane Austen’s works in it. And even though I also have all her novels on my Nook and would most likely read them from there, I would still want to rescue this copy for sure. 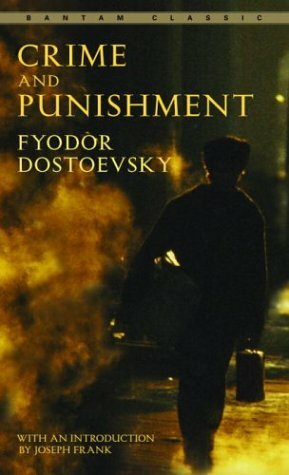 More specifically, my marked-up copy of Crime and Punishment that I first read my senior year in high school, and then revisited in college for my thesis project. Not only do I have quotes underlined, but I also have notes, and would very much like to always have this version of the novel for this reason. As I mentioned when I first started this blog, I received a copy of Jon Acuff’s not-yet-released book Start when I attended his Start night event. That night and his book have inspired me take steps toward my dream. I have pre-ordered another copy of it and could obviously acquire another copy of the book, but having this version is a physical reminder for me of the commitment I made to keep pushing forward toward my dream. This is actually the book I might would try to save first, at least if I were able to think of it quickly. What makes this book special is that I found it while we were cleaning out my Grandma’s apartment after we put her in hospice, and we found out that it belonged to either my great-grandfather or great-great grandfather (I forgot which one now). But either way, it’s priceless for that reason alone, with its loose binding and musty smell, and I plan to treasure it for a long time. I just wish we knew what happened to Volume II. Runners-up: The Picture of Dorian Gray. Like Crime and Punishment, I read this story my senior year and marked up with notes and underlines, though I haven’t revisited it yet. Also, I wasn’t sure if this counted, but I would want to rescue my Nook. I’m sure if my house burned down Barnes and Noble would retrieve the e-books I bought through them, but just the same, with other stuff on there as well, I would like to rescue it if I could. What books would you save in case of an emergency? Any of them for sentimental reasons? I love beautiful collections of Jane Austen- definitely a keeper!